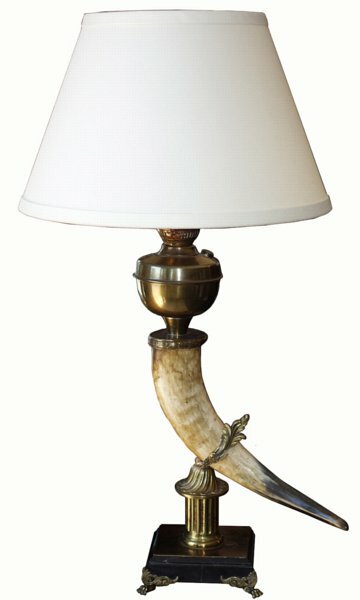 Horn with brass stem on marble/brass base. Suede shade. H: 35" x W: 13 " x D: 8 "